Sometimes you have to wonder what planet people are living on. They hire a lawyer, pay good money (is there any other kind?) and proceed to act as if they’re handling their own bankruptcy case. My client, an intelligent and well-reasoned woman who makes a significant amount of money, hired me for a Chapter 13 bankruptcy case about a year ago. We filed her bankruptcy, got her Plan confirmed, and life went on. She had a very low monthly Plan payment thanks to the means test deductions allowed for bankruptcy cases filed in Manhattan, no non-exempt property, and was in Chapter 13 bankruptcy because she’d filed for Chapter 7 a few years ago and didn’t yet qualify for a new Chapter 7 discharge. Easy peasy sort of case. About three weeks ago I received a Motion to Dismiss for my client’s failure to make her Plan payments. And as luck would have it (note the dripping sarcasm), she hadn’t made a payment in 10 months. No clue why it took so long for the Chapter 13 Trustee to wake up and do something, but that’s a story for another day. So I call my client to find out what was going on – remember, this is a smart woman who makes well enough to fund her Chapter 13 Plan – and was told that my client had lost her job. When she left, my client got a severance package equal to a full year of her salary. Enough for her to continue making Plan payments while we determined her next move in the event that the next job didn’t roll around quite so quickly. What she did, however, was completely different. First, she sent a huge check to her student loan company. Second, she gave a sizable sum to her mother as a way of being a good daughter. Third, she bought a new car. A really nice one. I think it was a form of retail therapy. Fourth, she lived on the balance. And right now, she’s got none of the money left. As a result, my client will likely have her Chapter 13 bankruptcy case thrown out of court. Her creditors will be able to resume collection activities, she will not be able to file a new Chapter 13 absent a new job, and still won’t qualify for a Chapter 7. Even if she did, the money she gave to her mother will be a problem in any new case. The car is hers free and clear, so there’s non-exempt equity that will need to be accounted for in any new case as well. 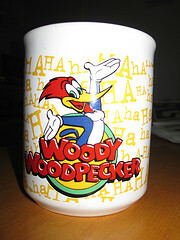 Remember the old Woody Woodpecker cartoon? If Woody had gone straight to the police, none of this would have ever happened. But like Woody, my client didn’t think to call me the day she lost her job. And because of that, her future is far dimmer than would have otherwise been the case. So here’s my recommendation – don’t be like Woody. If there’s any change in your circumstances, call your lawyer. You may not like what you hear, but at least you’ll know your options to keep things from getting any worse.